SOAP FREE " No harsh chemicals , heavy perfumes or residue-leaving soaps" | It is "tough on dirt, easy on people." The first thing we do to find pet urine odor is to find the pet urine stain we perform a UV Black light inspection this light allows us to see invisible pet urine stains on the carpet before any carpet cleaning is performed. 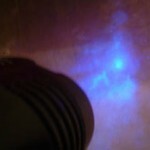 We check the walls for traces of pet urine that may have been sprayed on by cats or territorial markings by dogs, we check the hard floors and carpet for pet urine deposits so we know exactly where and how much pet urine we are dealing with so we can determine what method or pet odor removal treatment would be best to resolve your pet odor problem. We have several pet odor treatments that fall under the carpet cleaning and we welcome small jobs, we also restore carpets that are severely damaged by pet odor. We do pad replacement and seal the floor with a special odor sealer so the pet urine trapped in the subfloor does not permeate back into the freshly cleaned and deodorized carpet. 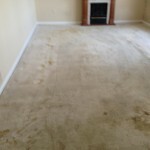 We also do carpet repairs so there is no job to large! Our job is to help the Denver Home Owner make the most practical and cost effective decision to remedy the pet urine odor damage in your home so it will be 100% pet urine odor free so if you think your cat urine odor or dog urine odor is to far gone don’t worry we can still help you with a solution that you can live with. 1. First step, we precondition with a special pet treatment to dissolve the salt in the pet stain. 2. Then, we rinse to lift away the stain. 3. Next, we apply heavy duty enzyme that will continue to work for 48-72 hours. 4. Finally, we apply a special formula to remove the yellow stains. Need Pet Stain removal? Got a spot that just won’t budge? Did Rover leave a treat while you were out of town last week? Can the cat find just the wrong place to play hide and seek? Don’t let those fumes flow any longer. Let Ameralean Denver handle your smelly situations. 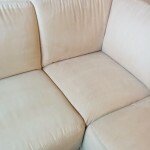 Give that stinky cushion a sparkling finish with Pet Stain Removal Denver at its best. You don’t have to suffer from man’s best friend’s deep seated soiling. Grab a breath of fresh-air with a professional stain removal service. We offer comprehensive cleaning of all your trouble locations. Don’t rub their nose in it any more. Give us a call and give disaster an end. You never need to clean up after your favorite little friend. 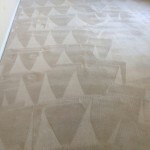 Ameraclean Denver is the best in stain removal. We want your home to shine like luxury. We’re here for all your dirty and unpleasant problems. Let us take care of the unattractive side of pet keeping. If you find an unexpected spot, call Pet Stain Removal Denver and we’ll cure the drops. We have experience with cat, dog, bird and rabbit droppings. 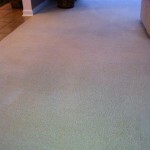 There’s never any reason to worry about the quality of your carpet when you work with us. Let our professional team of trained technicians conquer your catastrophe. We hand select our cleaners to insure your house isn’t treated like the neighbors grass. If you’ve had trouble with over the counter cleaners then give us a call. We use premium removal products to eliminate the offenders. Give the gift of cleanliness to your four legged friend. 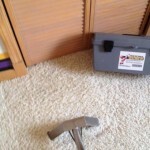 Call us to remove all of your carpet’s yellow spots. Don’t disgrace your house with the scent of unwanted gifts from your pets. Let us formulate answers to your complicated odors. Don’t rent outdated expensive machines. Call Ameraclean Denver for a premium clean. We use the latest in stain removal technology to properly restore your floor. You can’t just spray a little foam to remove your pet’s new territory. 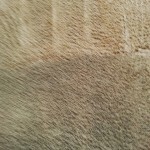 Let us soak up the problems with quality Carpet cleaning Denver. 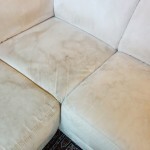 We provide stain removal service throughout the Denver metroplex. Give us a call today and eliminate those dirty little stains. We are ready around the clock the moment damage occurs. Leave those urine marks alone and let us tackle the impurities. 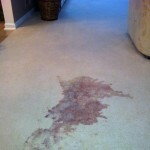 We offer stain removal, carpet cleaning and pet stain prevention. Turn those pet puddle prone areas into regular living. Our assistants are available at your request. Don’t hesitate to save your house. Contact us now for a pleasant surprise.